Orange lip color brings out a fresh and young vibe I like. So I've been looking for the perfect orange when I found Karadium Full Moon Lip Tint in shade 02 Some. Water based lip stain formula is smooth to apply with vivid color pigmentations. 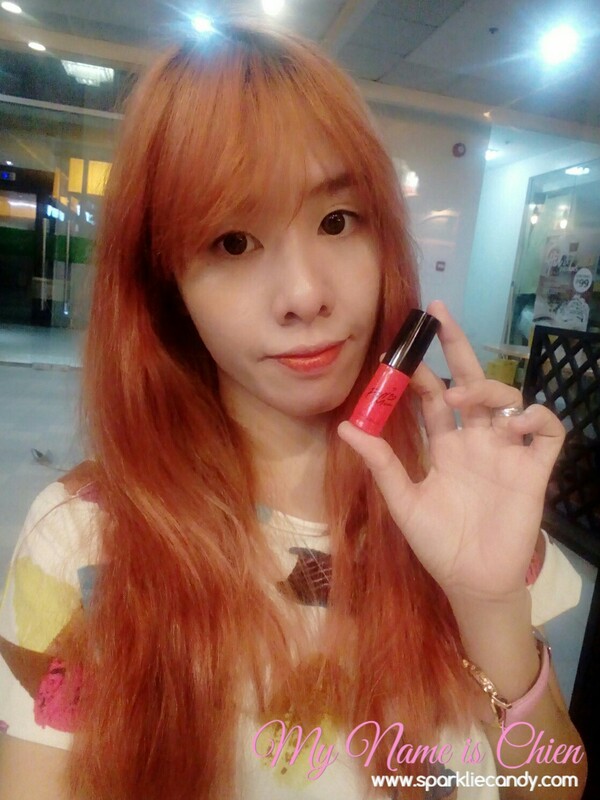 This attractive lip tint color is meant to last all day long! Smudge proof lip tint keeps its color from fading wherever you go wherever you go whether you are at a pool or crowded places. If extra hydration is needed, apply some lip balm on top to keep intense color with lasting moisture. Caution! Blend it out or fix before the fomula dries to set in place. Once set, the color will not fade or be removed. The tint came with a box so it looks presentable. The tint tube is of course neon orange! It comes with a doe foot applicator. 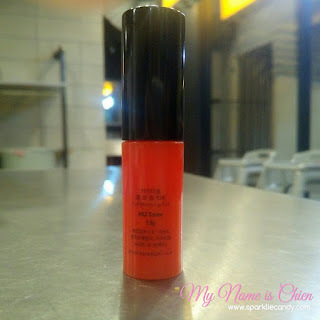 This tint is lightly scented so its not a bother when I use it. The tint itself is liquid but not watery nor creamy. It dries just in time after I blend it out on my lips. I have chappy lips lately so its a must to use a lip balm. 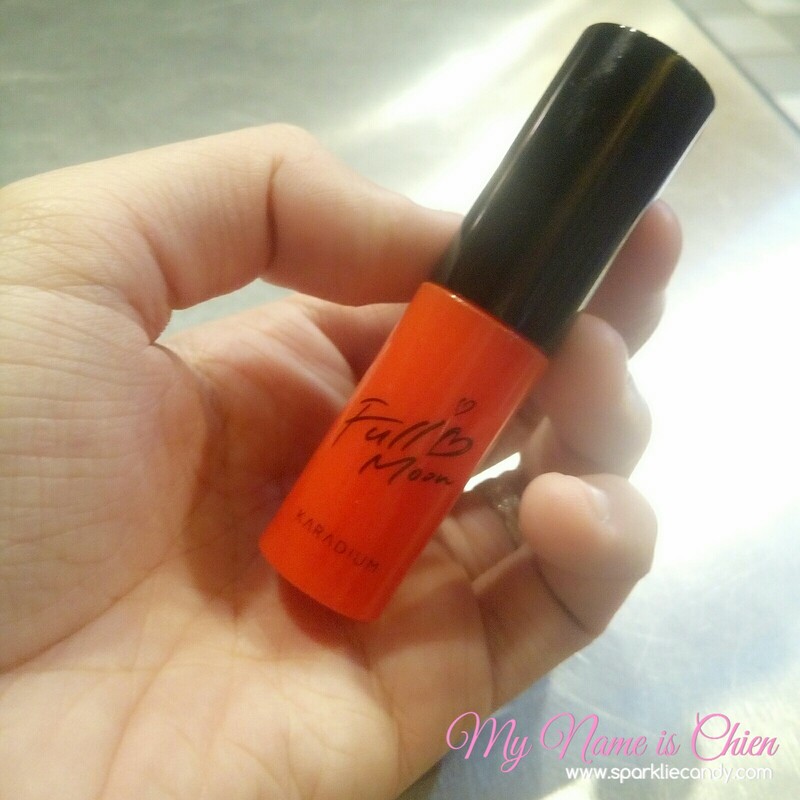 Once it sets the color sticks like a tattoo but its very lightweight like you've used nothing on your lips. 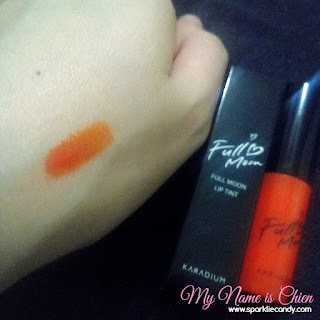 The Karadium Full Moon Lip Tint is very pigmented and its buildable. It has an all day lasting color on me. I have a habit of biting my lips so this is something new. If it can withstand eating pizza and samgyupsal then surely it can be waterproof enough to be used for swimming. I can't wait to use this for summer. I also tried it on my cheeks after I use sunblock but the formula is a bit dry to work on however I've still managed to put it on. I got it on sale for P140 at Jade Scents in their kiosk in Caloocan. Normal price is at P200 at their shopee account. 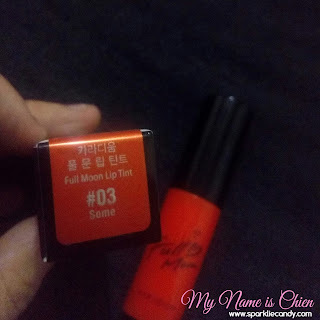 The only brand with this neon orange color I love!! 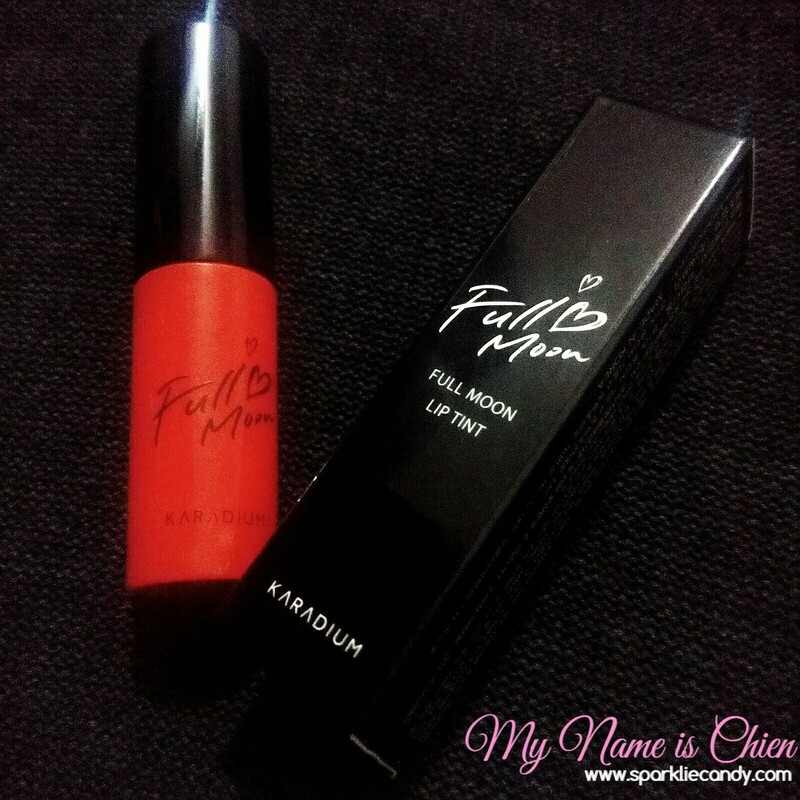 I finally found the longest lasting lip stain with Karadium Full Moon lip tint! 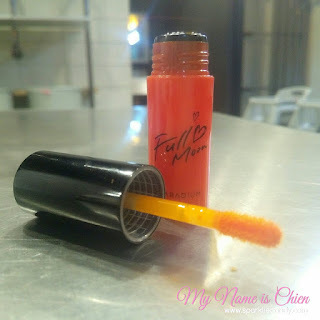 Buildable color and light formula makes it a winner in my checklist.